Any year with a new Quentin Tarantino movie is a good year. 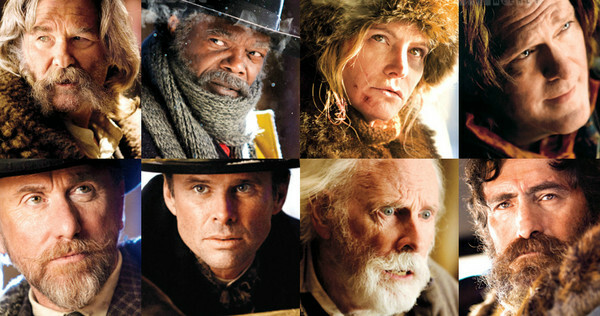 This Christmas, we'll be getting a brand new Western from Tarantino himself. If you're expecting another film in the vein of "Django Unchained" you can forget that. You can tell by this trailer, that "The Hateful Eight" is something else entirely. I have heard people speak of it as if it could be a stage play and I believe them. Telling from the trailer, it seems that nearly the entire movie will take place in the same location. This is a different style of movie we are used to seeing from Tarantino, so that alone is exciting. Other than that, looks like a typical Tarantino movie, which isn't bad in my book. And yes, I actually do have a book ;). I can't wait to see Tim Roth and Michael Madsen reunited with Tarantino once again. And I'll be patiently waiting to see how Jennifer Jason Leigh and Kurt Russell do with this material. Who else is excited?